EDITOR’S NOTE: While regular Millennial Monday blogger Emily Howsden is away on maternity leave, Millennial Monday will continue as guest bloggers fill in over the next couple of weeks. You’ve heard this phrase before, of course. It’s often seen written on a sign that is hanging from someone’s house or business to let others know that they are busy elsewhere. Busy fishing, obviously. 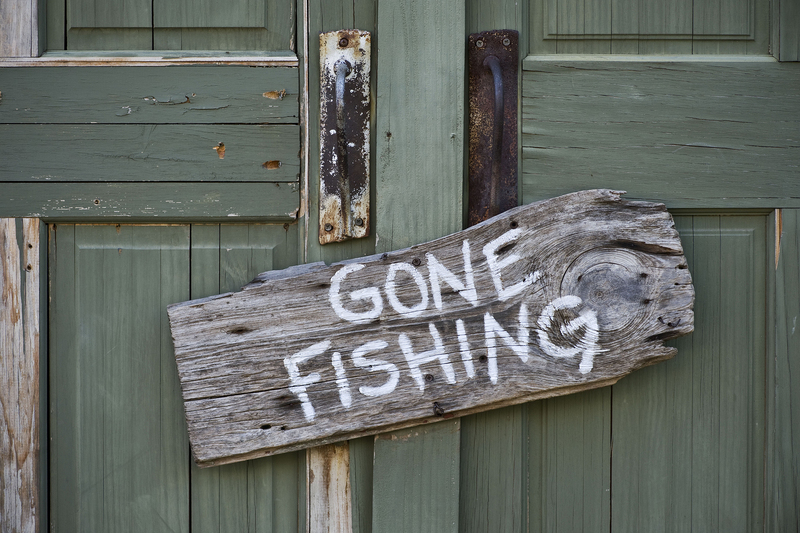 If you fish at all, you know that this sign means fun, relaxation or even escape. You can’t imagine life without getting to grab your rod and reel and the prime spot on the lake. However, if you don’t fish, then this sign is a complete inconvenience. You can’t even wrap your head around why someone would deny the company of visitors and customers just to catch some fish. There are other, more important obligations to attend to. Each party sees their viewpoint as the wisest. Each party sees their focus as the best use of time. These two parties are highly comparable to two kinds of churches I see in our modern age. The first church evangelizes well. The second church disciples well. Sadly, not many churches emphasize both. The first church, whose focus is primarily evangelism, will all but sin to get people to Christ and through the waters of baptism. This is the church with the “Gone Fishing” sign up on their front door. These churches are focused on fishing for men as Christ speaks of in Mark 1:17. This church is typically very effective in reaching the lost or the “seekers.” They’ll have prayer meetings at coffee shops, have a rapper perform at their church, or they’ll even allow caffeine beverages in the sanctuary. While this church is definitely fulfilling the evangelistic message in Scripture, it is not fulfilling the Gospel call of discipleship. Where are the discipleship groups? The Sunday school training? Or even your basic apologetics courses? Yes, you’ve got the “seekers,” but what are you teaching them beyond the basic milk of a salvation experience? Then you have the second church. This is the church with the doors wide open. They have the highest numbers of attendance for their “in-reach” fellowship events. The church’s members know the Bible like the back of their hands. This church is completely focused on building up and encouraging one another as the Bible also speaks of in 1 Thess. 5:11. This congregation is typically very effective in producing leaders of the faith and building Christian families. They’ll host Bible drill classes, women’s conferences and, more than likely, have an amazing choir, with traditional robes, of course. Again, while this church is definitely fulfilling some Scripture, it is not fulfilling it all. Where are the mission trips overseas? The community outreach events? Or even the basic ministry partnerships? Yes, you’ve got the knowledge, but what are you using it for beyond merely showing off? 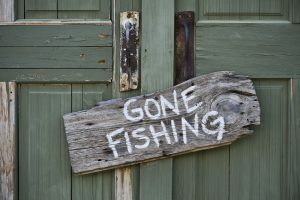 The former church is so often “Gone Fishing” that the members have no idea what to do with the fish once they are “caught.” No discipleship or growth ensues. The latter church is so often fattening its fishermen that they have no idea how to actually go fishing. They typically do not even have the confidence to leave the walls of the church to go to the fish. Go where God has directed us. The first verse simply said the disciples were obedient and went where Jesus had directed them. Simply put, we must follow the direction of the Lord, even if we only have the small picture. Make disciples of all nations. Can you picture a sanctuary busting at the seams with all races, nationalities, backgrounds, financial states and relationship statuses praising God in unison? Can you see it? It doesn’t happen by staying inside the walls of the Church. We must go out where God has directed us and reach the people that would not otherwise step foot inside a church building. Teach each other to observe Christ’s commands. Obedient disciples make obedient disciples. Passionate disciples make passionate disciples. Knowledgeable disciples make knowledgeable disciples. Once one has accepted the Lord and coming to know Him as Savior, we must get them neck deep in God’s Word. Holy Scripture is powerful and essential for the training of disciples. This is just one Millennial’s outlook on churches today. I praise God for the churches that have practiced both evangelism and discipleship well. It is a rare find and a true treasure. My prayer for the Church as a whole is that we would reflect this Great Commission in the workings of our congregations. May we be a people who fish intentionally, as well as train new fishermen powerfully. How Should a Local Church Approach Culture?